Fifth Generation warfare tends to be boring and complex. That is its greatest value in an information soaked world with large spikes in mass interest but little long term interest (except by specialists). Violent conflict tends to be flashy. Cyber attacks tend to be the 21st century's answer to the more expensive military exercises (it was no for nothing that Mr. Trump might have found it relative easy to at least temporarily concede expensive war games off the North Korean coast to feed news outlets when alternative shows of strength are both more cost effective and less vulnerable to the vagaries of mass politics). As war shifts its focus from lavish theatre pieces of violence to inter-institutional battles (for which short sharp acts of violence are sometimes worth the effort) it is useful to consider whether and to what extent these changes appear now in the relationships among states. This is not to say that old fashioned conflict is now obsolete, or that global actors have lost their taste for it. Far form that. It merely suggests that new theaters and modes of engagement may be assuming a more interesting role as states seek to sort out the most effective way of warring in globalization. Sonic devices (used offensively or inadvertently as part of advanced surveillance strategies) have come into their own as part of 5th generation warfare gadgetry (The Affair of the Sonic Weapons Attack Goes Global--From Cuba to China in the Emerging "Big State" Era of Global Trade and Relations). At least that is one theory. This post briefly considers how this variation in conflict might be evidenced in the current state of U.S.-Cuban interaction. One might think of the great strength of modern conflict management, 5th generation warfare, as offering a palette of tools, but one which is also designed to permit states (and others) to compete in cost effective ways that leave the valuable assets over which competition arises in the first place, more or less intact. Good old fashioned control of an environment within which a targeted state's weaknesses can be magnified takes more time but is likely to be more effective in the long run. It's greatest potential lies in long term vectors designed to weaken the structures of stability in an opposing state. The object is not conquest--a 20th century relic that is more expensive than beneficial in the long term--but management designed to align interests between the projecting state and the targeted state. Of course, this suggests a further evolution of 5th generation warfare theory--from one grounded on managing the "hearts and minds" of state and non-state forces (and their civilian populations) (e.g., here, and here) to one that targets institutions producing challenges that will likely exacerbate the weaknesses of the institutions of the targeted states. That requires a radical re-imagining of conflict in which its violent aspects tends to be viewed as remedial or clean up, and where the centering focus of conflict is inter-institutional. The key to 5th generation warfare, then, is to use the cultures and practices of target states against themselves so that they will do the "dirty work" for their opponents. The object, then, is to debilitate and manage rather than to conquer and administer. But this not make make for glorious news stories, nor does it produce statue worthy events that can be memorized in primary school history classes. Nonetheless, its value cannot be underestimates. . . and clever academics can always be called on after the fact to develop suitable recitals of glory to suit the interests of those with authority over those matters. But let us turn to Cuba. I have previously noted that way that the Affair of the Sonic Weapons attack has appeared to suggest the contours of a new 5th generation warfare playbook (though have not shouted that out this explicitly) (coverage HERE: Cuba Sonic Weapons Affair ). The Sonic Weapons Attack has been useful on many fronts. It has provided a nice (though narrowly targeted) means of managing public opinion through well times explosions of media interest (on both sides of the conflict). It has served as a template for generalizing its use in other theatres of competition. It has served as justification for policy. And it has served as an "invitation" for opponents to make mistakes in response, mistakes that can be exploited. And frankly, it can serve as a useful mechanism for intelligence gathering among media and intellectuals through the harvesting of responses and opinion (like this one) so easily gleaned from the World Wide Web. In Cuba, the Affair of the Sonic Weapons Attack has been especially useful in two respect. First as a partial justification for the retrenchment of relations between the two states. Not that this was necessary; most people knew this was coming. But it tended to distract discussion and fracture (making more manageable) discussion at least within the United States. And it put Cuba on the defensive in the context of an event over which it might not, in the final analysis, have substantial control (though mere complicity is no excuse; and sloppiness in an authoritarian regime that prides itself on its surveillance even less of one). But its greatest effect--and thus the value of 5th generation warfare analytics here--was on the Cuban National Economic and Social Development Plan 2030 (PNDES) presented at the 7th Party Congress (see,"The Algorithms of Ideology in Economic Planning: A Critical Look at Cuba’s National Economic and Social Development Plan 2030, With a Focus on the Pharma Sector"). (National Economic and Social Development Plan 2030 (PNDES); text pp. 14). 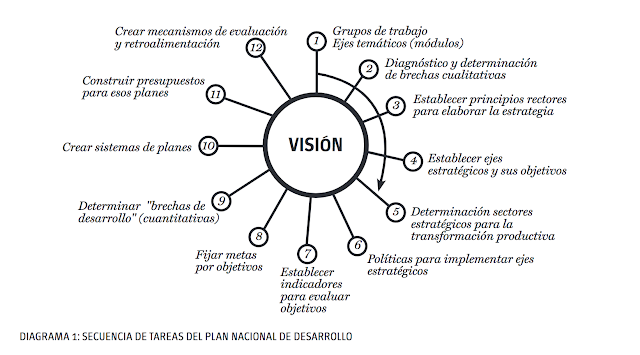 The 2030 Plan identified key sectors for development. Among these were constriction, energy, transport, pharma, tourism and sugar related agriculture (National Economic and Social Development Plan 2030 (PNDES); text pp. 22). The Affair of the Sonic Weapons Attack has had consequences that might now begin to affect th ability of the state to deliver even in these key sectors, without an easy way to hedge. First, of course, the Affair ultimately made it easier for the U.S. to pull back on income transfers through tourism without entirely destroying the sector. That reduced income to Cuba (though only at the margins since Cuba had yet to become dependent on U.S. tourism revenue). This debilitation was to be made up by the Europeans who made a big show of filling the void left by the Americans in January 2018 (see,The EU to the Rescue of the Cuban Economy? the Political Dialogue and Cooperation Agreement (PDCA). But for purposes of the long term plan for revenue generation it is not clear that the short term effects of European "rescue" would be sufficient to plug long term gaps. Moreover, tourism has become a higher cost industry, as the repair costs after recent hurricanes has reduced the hard cash generating margins of tourism, probably enough to be felt by state organs in need of cash for economic development in other key sectors. The reason this is important, of course, is sugar. Another key sector to economic revival, sugar production is a gateway commodity. It is useful for export. But it is also vital to key export industries--rum production, and increasingly fuel alternatives (with technology borrowed from the Brazilians). Rum provides cash at very large profit margins. Thus the eagerness of the Cubans, for example, to barter away their foreign debt with rum (Socialist Regional and Bilateral Relations With Cuban Characteristics and its Resonance with Emerging U.S. Approaches to Trade and Politics). But fuel provides the answer to a quite vexing problem, as Venezuela ceases to be a reliable low cost supplier and the alternatives, from Cuba's Russian and Chinese "friends" might be both costly and ultimately unreliable. No way to run an economy. And the risk of debilitation grows even as the population grows restive. . . .and even more mobile. Important as well, though at the sometimes critical margins, is the use of sugarcane to feed livestock. With little sugar to spare, there is pressure on livestock production and a greater likelihood that protein sources from livestock will be reduced. With tourism less robust as a center for cash generation, the sugar sector (along with pharma) becomes even more essential to the success of long term (and fairly modest) economic goals that are meant to ensure stability (first) and economic growth (if possible). But that has not been the case. Marc Frank has recently reported in the disastrous harvest of 2018. His conclusion is telling: "The decline in output, after a more than 10 percent annual increase since 2011, is more bad news for Cuba. The country is struggling with a cash shortage due to ally Venezuela’s economic collapse, a hostile and sanctions-wielding Trump administration, a drop in tourism and its own inertia." Marc Frank, "Cuba hopes to avoid importing sugar; will reduce future exports," Reuters 14 June 2018); full story below). Cuban authorities still see salvation in a more vigorous diversification through Europe. That effort may be more likely now as the U.S. European tiff about the direction of the future of global leadership takes a momentary dark turn. Cuba is right to exploit the rift and the U.S. (and the Europeans, though they ought to pursue their own agenda, in the shadow of the relationship they may be making anew with the U.S. or in a more risky way with the Chinese). Cuba is ramping up efforts to attract foreign investment as Miguel Díaz-Canel, who replaced Raúl Castro as president last month, begins the tricky balancing act of trying to solve the country’s economic crisis without undermining Communist party rule. Although it is still early days for Mr Díaz-Canel, a party apparatchik, diplomats and foreign businessmen report that a number of negotiations are under way, from infrastructure and agriculture, to tourism and energy.. . . Cuba’s need for investment is urgent. Aid from crisis-stricken Venezuela is drying up, a fleeting US tourist boom popped after US president Donald Trump partially reversed the detente begun by his predecessor and annual revenue from the export of goods and services has fallen by more than $4bn, or 23 per cent, since 2014. (Marc Frank and John Paul Rathbone, "Cuba in Drive to Attract Foreign Investment," Reuters and CNBC 8 May 2018). But in the large scheme of things we are neither talking a lot of money (or the generation of sufficient quantities of hard cash necessary to support the planning for economic growth subsidized by this high margin "deal making" with Western states and their enterprises). "Over the past two years Cuba has signed foreign investment deals valued at a record $3.5bn, but little money has arrived. Plans for an upgrade to Havana's main airport and a Russian-led upgrade of Cuba's railways have been delayed for more than a year. No ground has yet been broken on four golf projects worth a total $2bn, agreed over the past three years. The Total-Siemens energy project is also not yet finalised, although tendered last year." (Ibid.). )But it may be enough--for propaganda purposes surely; for political stability perhaps. The news come almost simultaneously with reports of additional injuries from Sonic Weapons Attacks in Cuba, dutifully denied by the Cubans (The Affair of the Sonic Weapons Attack--Just When Attention Turned to China, Reports of More Injury in Cuba). Ordinarily together the key sectors diversified risk. But with little cushion, damage to two key sectors can have a noticeable effect. None of this spells immediate disaster for the Cuban state or its economy. It is another painful blow in a notion that has perhaps grown accustomed to such constantly recurring shocks. But the effect for Cuban ambitions in the region is quite bleak. More importantly, it produces a point of debilitation at a critical moment in the history of the current Cuban political era. Over the next decade, the original Revolutionary generation will pass entirely form the scene. With them will pass even the shadow of authority born of the struggle of a generation ago. The new leaders will have a much smaller cushion. Patience, in this context, and the sort of pressure that avoid direct violent conflict, may will be its own reward. Why talk of 5th generation warfare here? First, the focus moves form people to institutions. This is a regulatory governance approach to conflict. It is the art of managing an opponent's institutions to react in ways that serve their opponent. "But stymied by dense bureaucracy, the inefficiency of Cuba's Soviet-style economy and its dual currency system, and discouraged by tighter US restrictions, Havana's record of luring foreign investors has been poor." (Marc Frank and John Paul Rathbone, "Cuba in Drive to Attract Foreign Investment," Reuters and CNBC 8 May 2018). Second, what appears to be targeting Cuba, may actually be directed elsewhere. One need not think predominately about Cuban regime change--an America (and Cuban diaspora) obsession for sometime. Rather one things about the value of debilitating Cuba for its benefits in regional politics. Fifth generation warfare targeting Cuba might actually have its its object; (1) disciplining CARICOM nations from their flirtations with ALBA and Cuba-Venezuela; (2) managing Nicaragua instability and elections freer of Cuban competition; (3) Venezuela; and (4) the protection of Columbia's fragile stability. These are the theaters of engagement which in another era might have tempted armed intervention. Now there is more flexibility--if, that is, the U.S. can manage its own power. But those are merely speculations. HAVANA (Reuters) - Cuba, short on sugar for domestic consumption after a disastrous harvest, hopes to avoid importing by drawing on its reserves and plans to begin the coming harvest early, industry officials told Reuters. 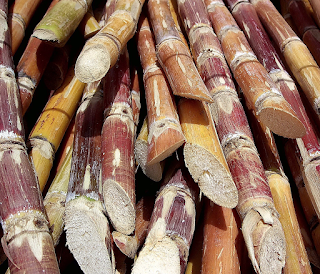 Based on provincial media reports and sources, Reuters estimates the recently concluded harvest came in at around 1.1 million tonnes of raw sugar, similar to more than a century ago. Liobel Perez, spokesman for Azcuba, the state-run sugar monopoly, on Wednesday refused to confirm or deny the estimate, citing a government policy of providing no real-time figures for the industry. Cuba consumes 600,000 to 700, 000 tonnes of sugar and is short after exporting some of this year’s output and not meeting other contracts, traders and shippers said. “The coming harvest will be moved forward as much as possible to meet domestic consumption,” said Lourdes María Castellanos, director of international relations for Azcuba. “We are going to have problems in 2018-2019 because the planting of cane, its development and growth have been affected to this day,” Castellanos said. The decline in output, after a more than 10 percent annual increase since 2011, is more bad news for Cuba. The country is struggling with a cash shortage due to ally Venezuela’s economic collapse, a hostile and sanctions-wielding Trump administration, a drop in tourism and its own inertia. The sugar industry also contributes to electricity production and derivatives such as rum and animal feed. Sugar was long Cuba’s most important industry and export, with output reaching 8 million tonnes in 1991. But today it ranks behind sectors such as tourism, tobacco, nickel and pharmaceuticals.